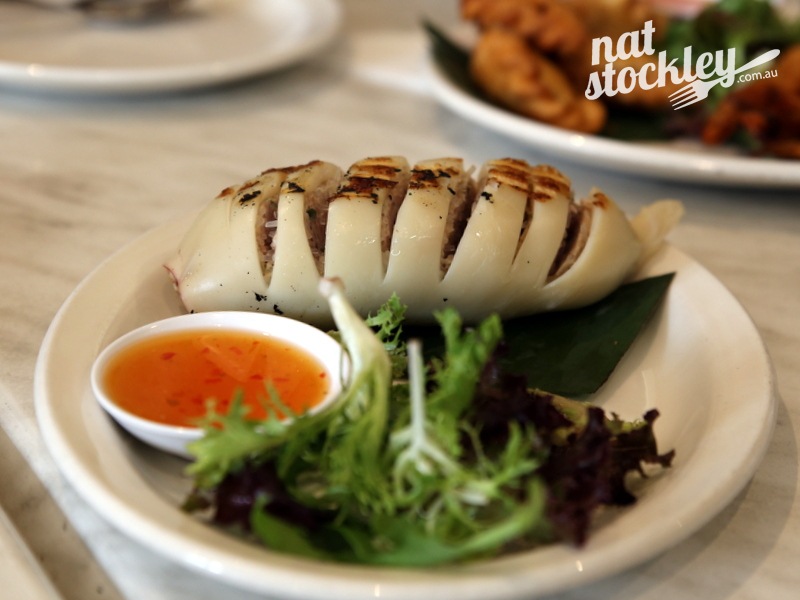 Richmond’s Victoria St may be better known for its inexpensive Vietnamese eateries, but you’ll also find a number of Thai establishments in the area that are worth exploring. Some of the more notable casual Thai eateries in the area include Jinda Thai, Thaiger Rabbit (formerly known as Ying Thai), Tom Toon Thai Noodle Café and newcomer Rustic Thai. Another such venue on the Victoria Street strip is I Spicy 2, which happens to have a sister restaurant of the same name in Hawthorn. I left the ordering up to a Thai friend in our group and for the most part was pretty satisfied with their selections, although we definitely did order way too much. 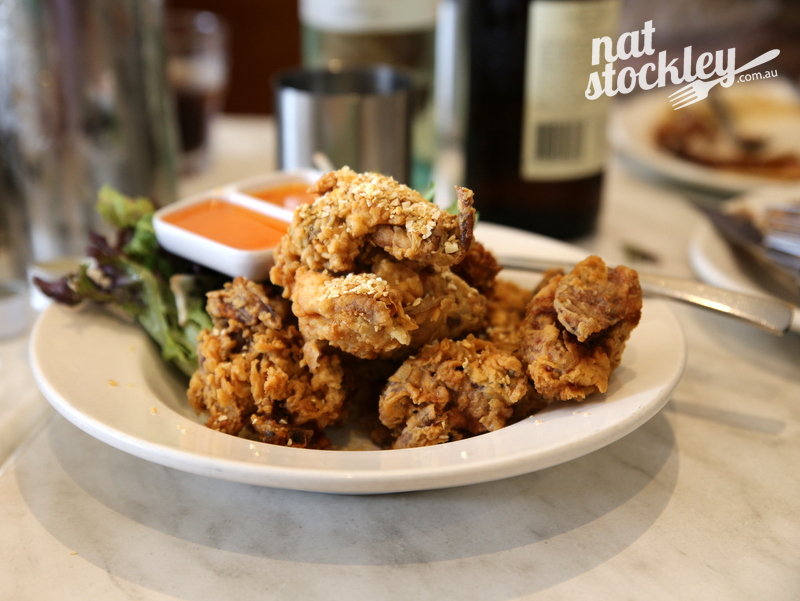 Being a group of twelve provided the opportunity to order some of the more elaborate dishes designed for sharing, but there’s plenty on the menu to satisfy the solo diner or the diner that isn’t keen on sharing. 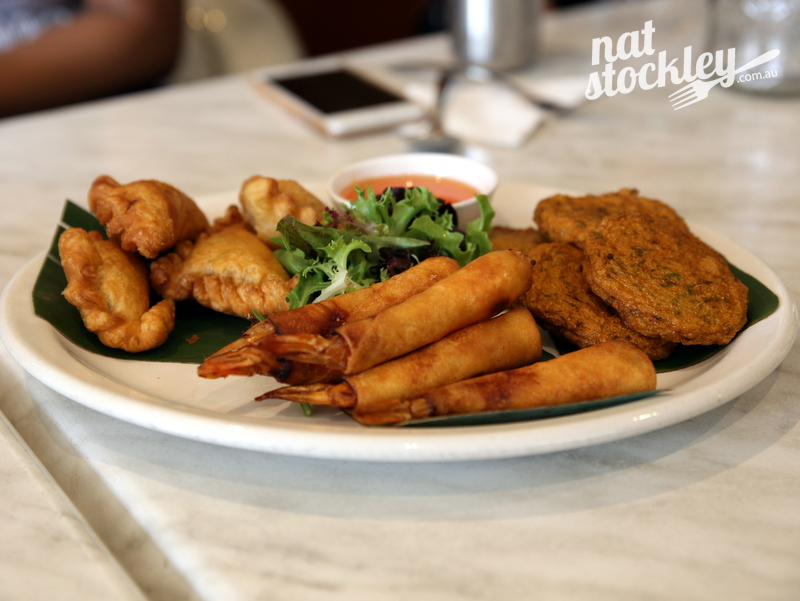 We start with a selection of the deep fried entrees (Thai spring rolls, curry puffs, fish cakes & prawns in wonton wrappers ), which are all nicely prepared and not excessively greasy. 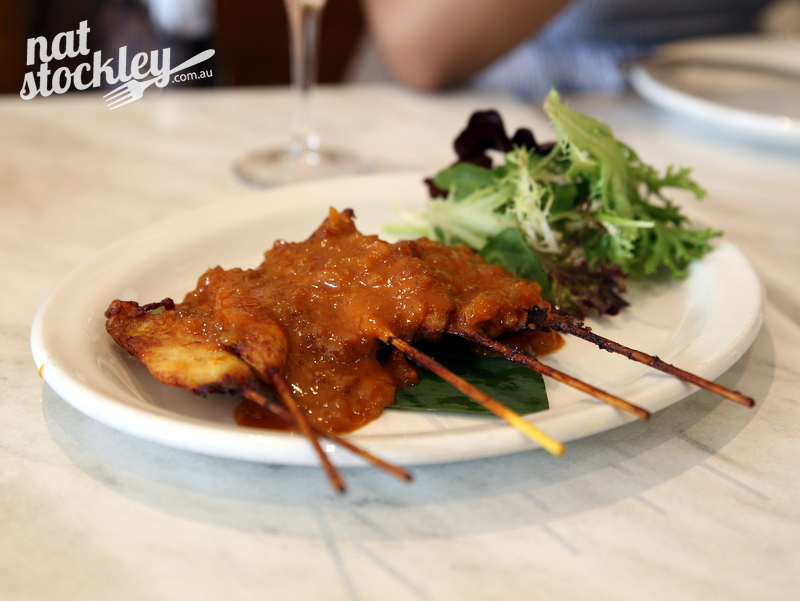 Next to arrive is a serve of chicken satay sticks. I’m not a fan of the typical entrees found on every westernised Thai menu; however the BBQ Stuffed Calamari with a filling that included minced chicken and bean thread noodles gets my vote. 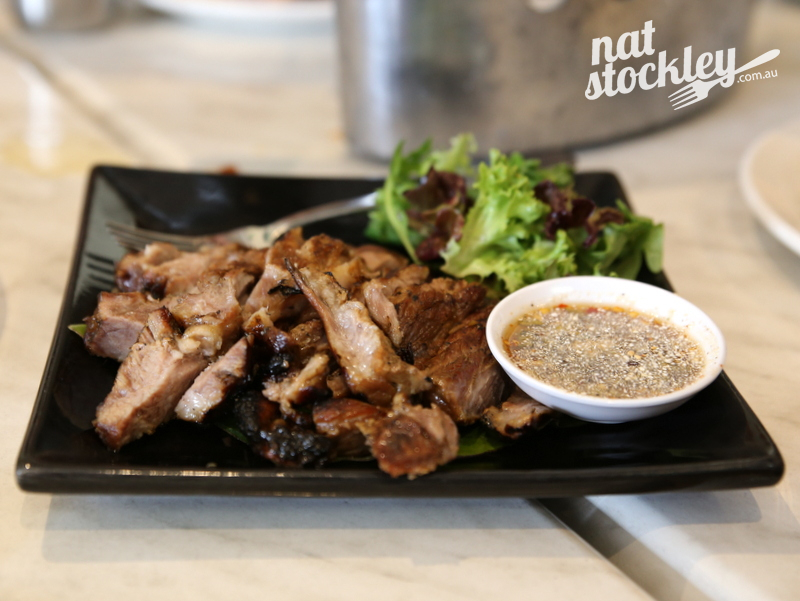 The Kor Moo Yang (grilled marinated pork neck) served with its traditional accompaniment Nam Jim Jaew (Thai dried chilli dipping sauce). 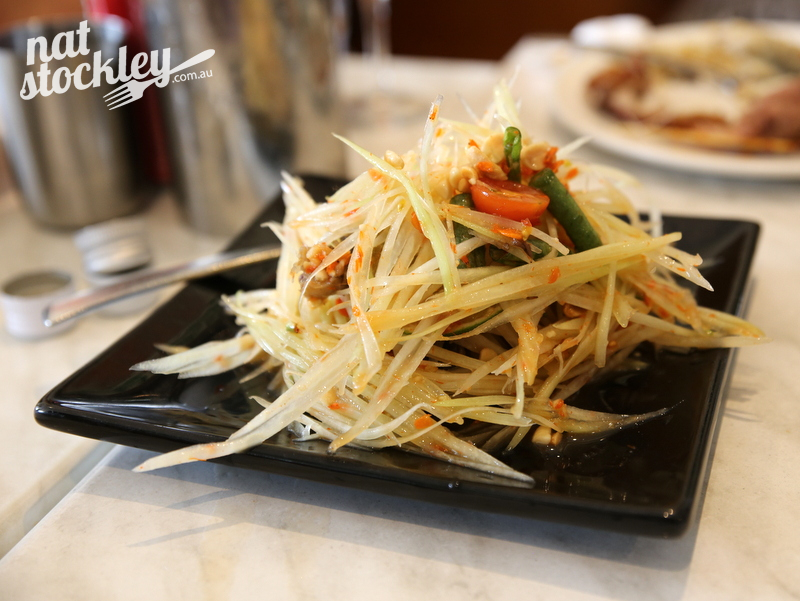 It’s a generous serving and goes down a treat with everyone. The Thai ladies in my group seemed happy enough with the som tum and they’re usually pretty tough judges when it comes to this dish they prepare routinely at home. Garlic soft shell crab was okay, but I’ve never understood people’s infatuation with soft shell crab in any of its shapes or forms. 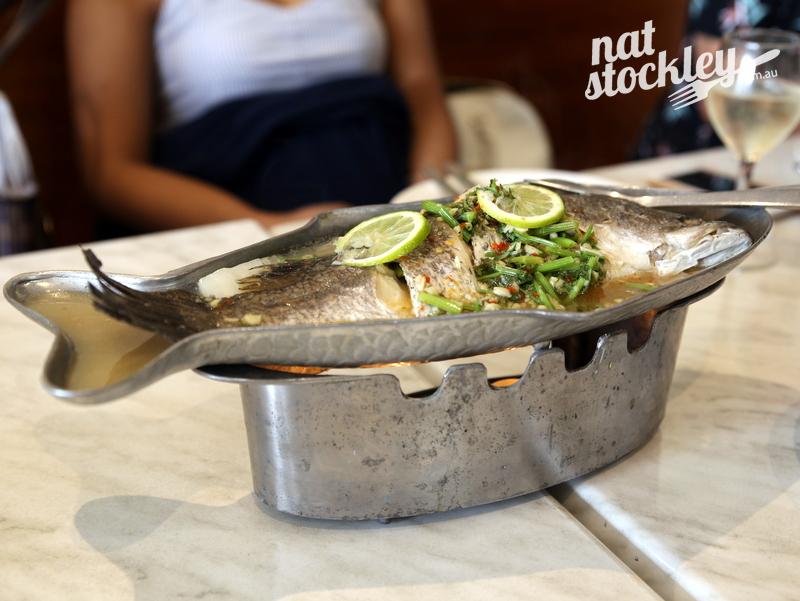 The Pla Neung Manao (steamed whole barramundi with lime dressing) was wonderful in every way. Having struck some fairly lacklustre versions of this of late, I was really impressed with this stellar fish dish. 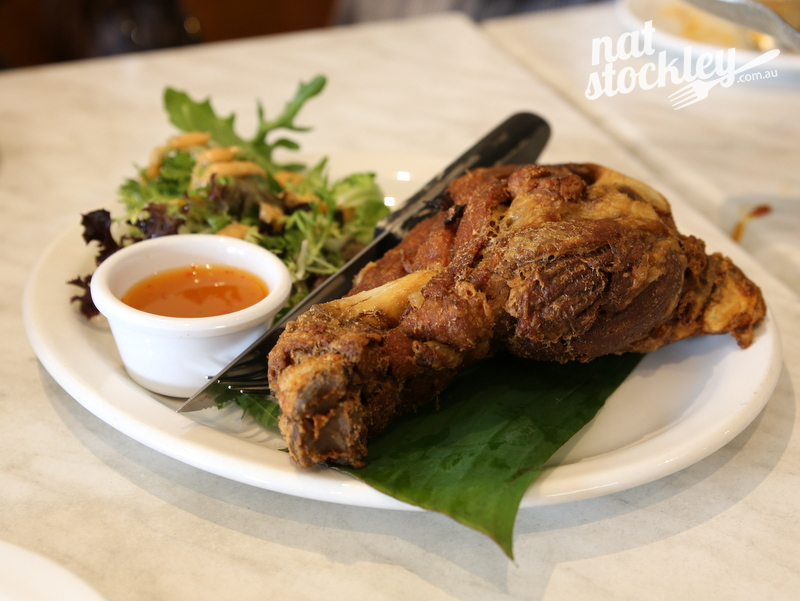 Their signature Pork shank dish is slow cooked for three hours in a stock that includes Chinese five-spice powder and herbs. It’s then deep until crispy at the time of ordering. I found it on the dry side, a complaint I’ve noted from other diners, but perhaps the meat is moister closer to the bone. 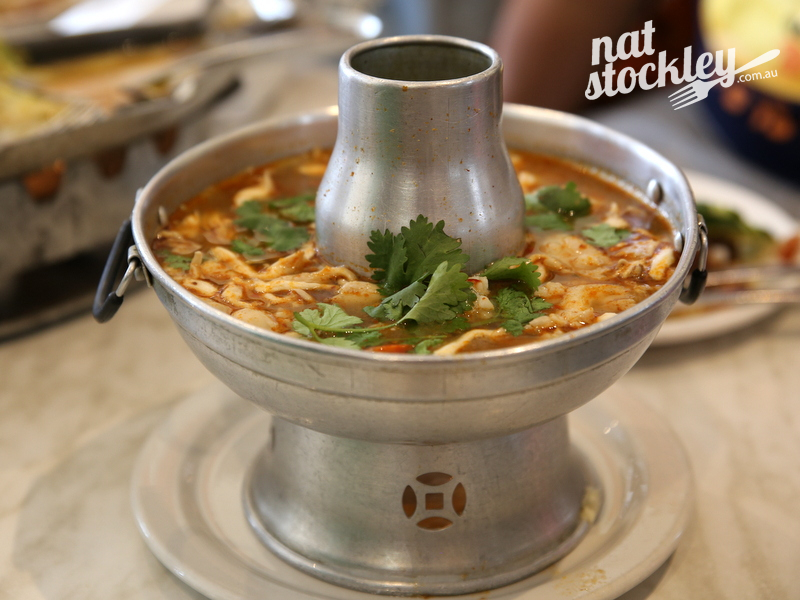 Not convinced we needed both the Tom Yum Hotpot & Gaeng Som (sour orange curry with prawns and cha-om omelette). Both were lovely enough, but it was overkill with so many other dishes on the table. 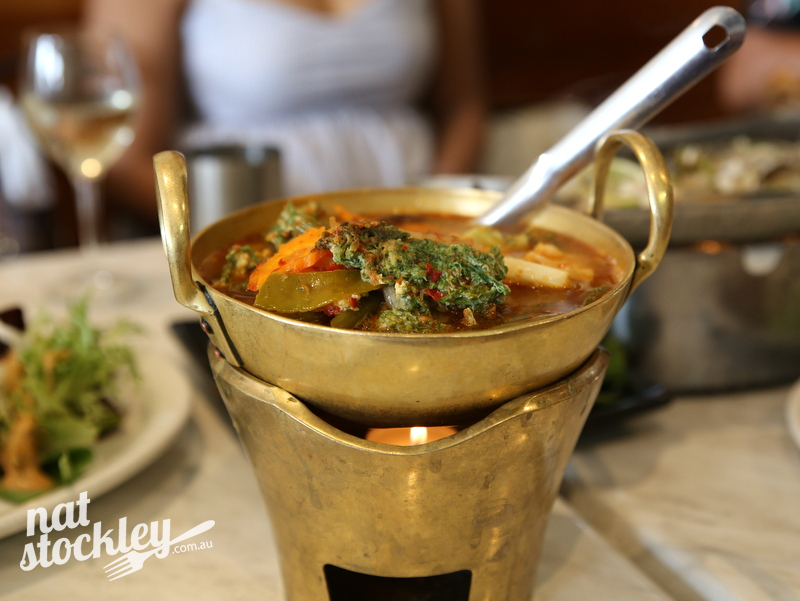 Like any place with such a vast menu, there are bound to be some hits & misses, but the overall quality of the dishes ordered was pleasing. 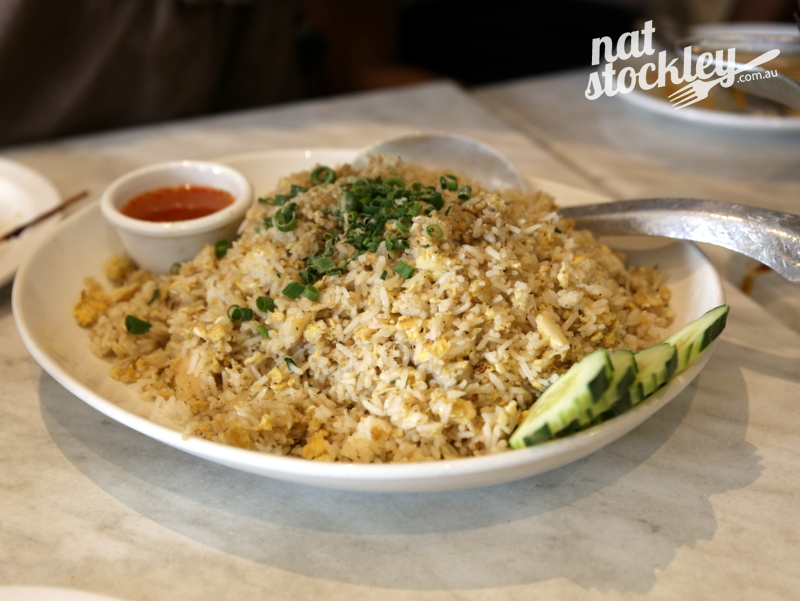 I’d have no hesitation in returning to explore some of the solo dishes served over rice or perhaps see how their boat noodle soup stacks up.